Each component of your paintball gun or marker is vital for its overall performance in the paintball field. Even a simple and small component, like the barrel, plays a major role in its performance. That said, you really have to figure out which one is the best paintball barrel in the market today. 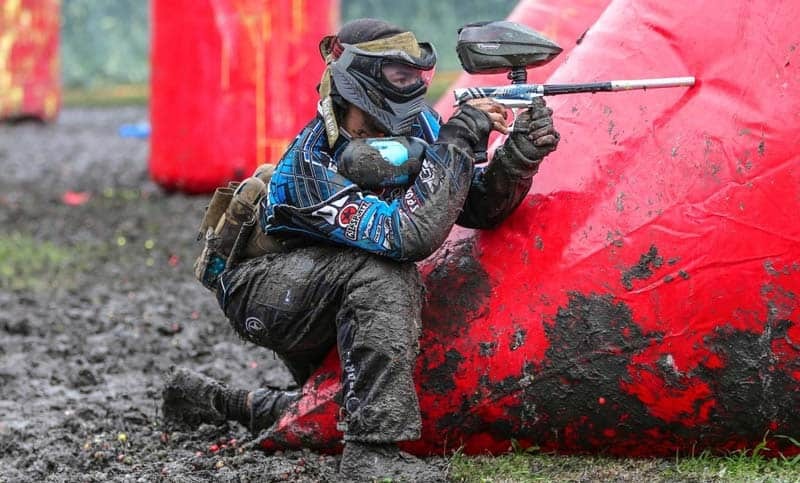 If you are still a beginner in the paintball scene then be aware that the barrel actually refers to that specific pipe where your paintball goes out through. In your search for the best and the most accurate paintball barrel kit, careful research and comparison are necessary. It is also a must to look for a barrel, which is perfectly suitable for your gameplay. 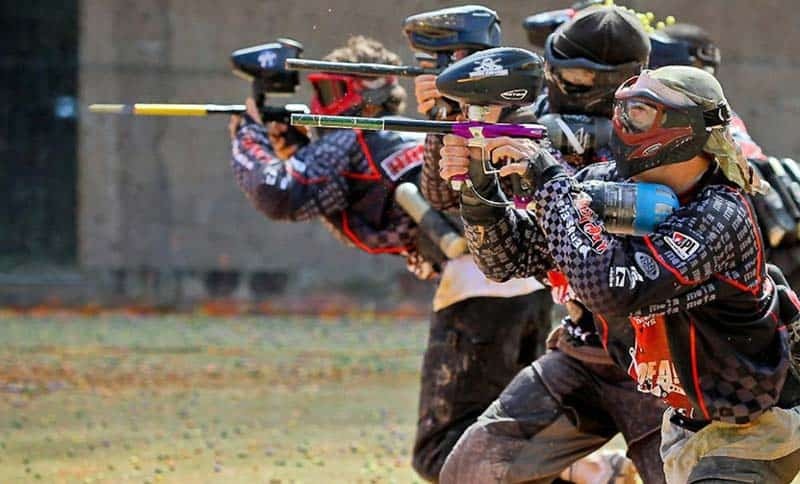 Remember that there are several ways and techniques for you to pay paintball – among them are the sniper methods and the guerilla tactics. Take note that each style and technique also needs a slightly different barrel. With that in mind, you really have to find out which one suits your playing style the most. To help you make a good decision, we have broken down ten of the ideal paintball barrels in the market that are mainly designed for distance and accuracy, giving you the satisfaction you are hoping for. If you are thinking of upgrading your paintball barrel but does not want to spend a huge sum of money when doing so, then I highly suggest checking out the Empire Apex 2. What I noticed right away about this barrel is that it combines affordability with durability and reliability, making it a genuinely good option. 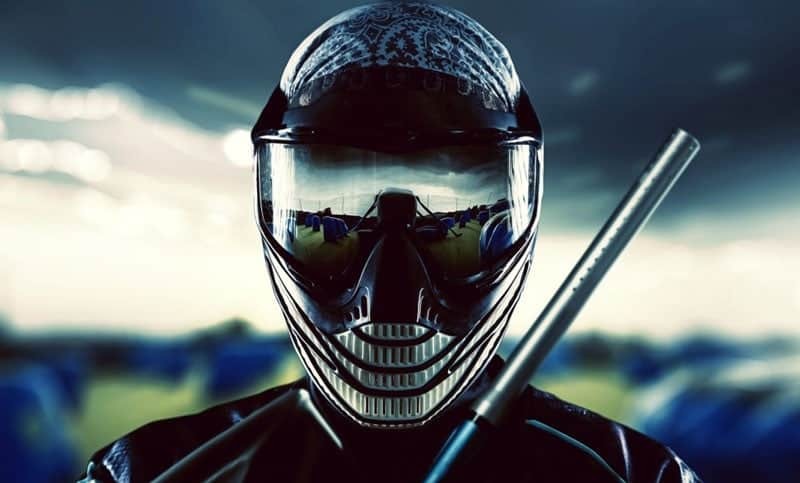 The barrel can provide a long and wide range, which, I think, is truly a big help in completely revolutionizing the game of paintball. In fact, it has long-distance shooting capabilities to help players in hitting their target, which is an impossible feat if you are using an old marker. I even love the built-in ramp, which is adjustable, because it is a big help in obtaining the right level of curve for each shot. Empire Apex 2 also has multiple barrels. In fact, it is available in a 3-piece kit – with each one varying in length from 14 to 16 inches. With such multiple barrels, you will notice that it can fit your playing style no matter what it is. It also has multiple bore inserts. The built-in inserts are actually beneficial as these give you the opportunity of shooting whatever size of ball you prefer. The fact that it has multiple barrels and inserts gives you the opportunity of switching them based on your needs as well as the specific paintball game you are playing. One possible drawback is that its built-in case is low in quality but that is tolerable considering its numerous features and benefits. 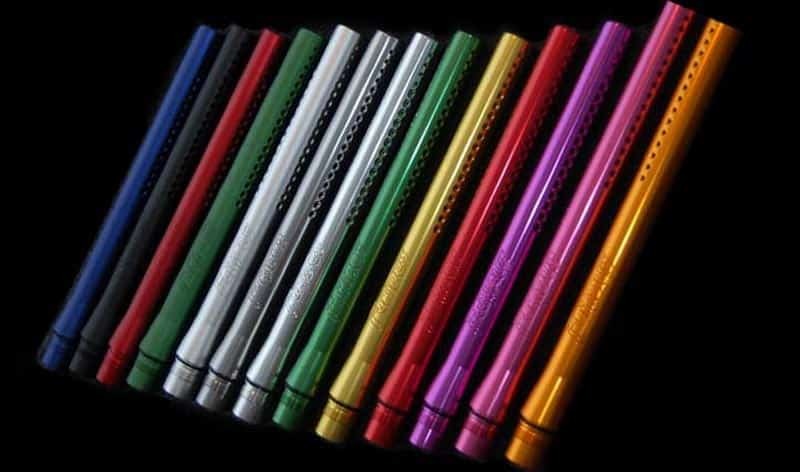 Another product in the paintball barrel category that I want any player to check out is the Eclipse Shaft FR Back Kit. I have to say that it is an ideal option for those in search of reliable paintball gun barrels because of its excellent performance and compatibility with Freak inserts. I think such compatibility is one of the reasons why it optimizes bore selection while also perfectly complimenting the actual design of the Eclipse Pro Barrel Tip. I am impressed with the unique design of its back as it helps guide it to the insert through a tapered opening, which you can find at the rear. There is also a joiner section, which is mainly designed to hold the insert in place. Such also works in doubling as an interface to the tip. With the 3 windows that form part of the barrel, you will also have an easier time identifying the specific insert used quickly. Furthermore, there are quick threads in this kit. 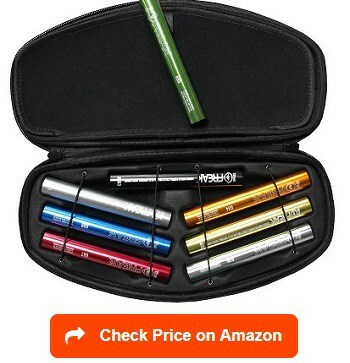 These threads are designed in such a way that you can easily attach and remove the barrel from your marker. In fact, the whole process is faster in comparison to other barrels that use standard threads. Some users complained that this paintball barrel is a bit tight, though. If you want a paintball barrel, which is guaranteed to provide you with an even better accuracy than a standard one, then I would like to introduce to you the Tippmann Sniper. I can assure potential users that this barrel is suitable for Tippman 98 custom as well as custom pro paintball guns. Most of its users even consider it as the best Tippmann 98 barrel. It is a famous brand and model in the industry for several good reasons. One thing I can think of is the presence of its 16-inch barrel, which is mainly designed to let users enjoy long-distance shots and a high level of accuracy. It also features an exterior mainly designed to appear intimidating to average paintball players. Any player who loves to hide and snipe from a distance can greatly benefit from this paintball barrel. I am also in favor of this barrel because it helps you fire with little to zero noise. Since it operates silently, it can definitely give you an edge while you compete in the field. It is because you can always provide your opponents with an element of surprise. Another reason behind the popularity of Tippmann Sniper Barrel is the ease of its maintenance. It is easy to take care of and maintain this barrel. You will never find it difficult to clean regularly. However, you should also remind yourself that this specific barrel does not have as much range as the other barrels, which is why it is not that appropriate for use in large playing areas or fields. I am also pleased to introduce the GOG Freak Barrel Kit to those who are still on the stage of searching for the best paintball barrel. I think that this is the perfect barrel system that you should consider buying if what you are looking for is complete consistency and accuracy. One thing I find so pleasurable about this kit is that it offers various inserts. You can, therefore, look for a perfect match for your paint and bore size. This provides the high level of pin point precision that you will instantly notice in this barrel. The kit contains almost all the things you need to make it work perfectly. 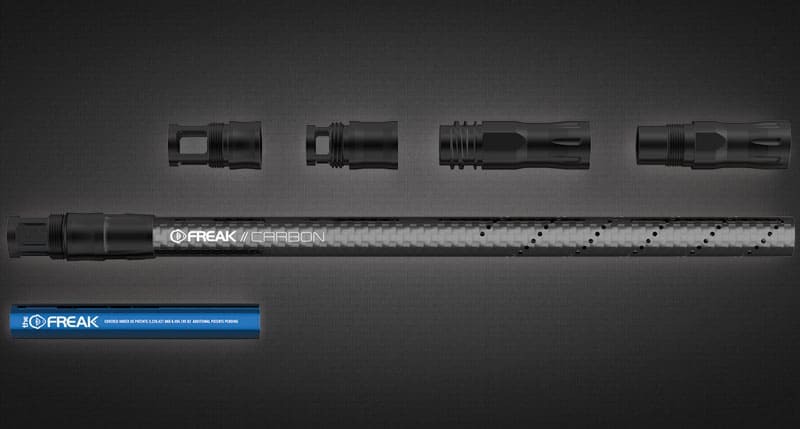 These include its freak barrel back, freak 14-inch tip, and its 8 inserts. I am also happy that the inserts and tips are interchangeable with the freak backs, irrespective of the thread used in the barrel. It also makes use of an autococker thread, the most commonly used thread in the barrel back. I am pleased with this paintball barrel because it excellently does what it intends to do while also making a great difference in terms of accuracy. It even comes with a unique barrel porting, which performs well, too. However, it only seems to be compatible with markers that use autococker threads. 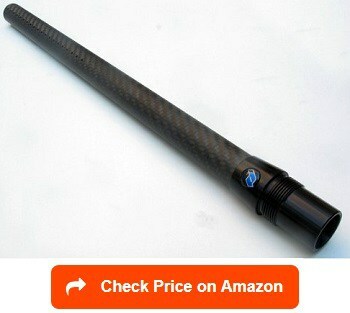 Another paintball barrel that instantly grabbed my attention is the Deadlywind Fibur-X carbon fiber paintball barrel. One of the things I am truly pleased about in this barrel is its quietness, accuracy, and lightness. It makes use of Freak replaceable inserts, giving just a single barrel and multiple inserts to perform the function of more than one barrel. I am also glad that this paintball barrel gives me the opportunity of swapping to various threads without letting me spend too much. This specific barrel system actually has three parts. The first one is the thread adapter designed to perfectly match the type of gun you have. The second one is the carbon fiber, which is the primary component of the barrel. There is also a freak insert designed to set the barrel’s bore with ease. I am also glad to say that this barrel is truly lightweight. In fact, it is lighter in comparison to other barrels with replaceable inserts. Despite being lightweight, I am still pleased that it is extremely strong in the sense that it will stay the same even if a car drives over it. It also features a slick interior, which you can swab safely as well as unidirectional fibers that are presented using a sturdy multi-vector pattern. Another paintball barrel guaranteed to give potential users utmost satisfaction is the BT Paintball 14-inch APEX 2. Upon seeing this product, I instantly noticed that it has several desirable features and benefits – one of which is its sturdiness brought on by the use of the sturdy and strong aluminum for its overall construction. I am also greatly satisfied with the ability of this barrel to offer up to nine adjustment spin positions. With such multiple adjustment positions, hitting the target is much easier. It is also possible to use this barrel to get your preferred level of curve with the help of its adjustable ramp switch. I am pretty sure that the tool-less disassembly of this barrel will greatly satisfy you. It is mainly because it promotes ease when it comes to its overall maintenance. It even comes with a new stealth look, which is actually a good thing if you want to have an edge in terms of accuracy and distance. With such look, you can hit your target, even those that you thought you can’t hit before. This barrel also makes it possible for you to customize the curve and spin level, giving you the chance to make it meet your standards. It is also capable of producing long ball distance shots. Cleaning it is a bit of a challenge, though, which is one of the common complaints of its users. 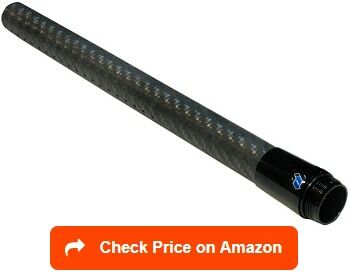 If you want a paintball barrel, which is guaranteed to give you real value for the money you spent then the DeadlyWind Null Carbon Fiber Barrel is right for you. This is the newest offering from the brand, which boasts of its nice and strong straight-bore barrel design constructed primarily of carbon fiber. I am greatly satisfied with the carbon fiber material used in the overall construction of the barrel as there is a guarantee that it is not only quiet but is also highly accurate and quiet. It is lightweight enough that users will not have a difficult time using and managing it in the paintball field. Despite being mainly constructed to be lightweight, it still has enough strength. It is strong enough that it can withstand all types of use and abuse, no matter how heavy you use it. It also takes pride in its unique and distinctive 3-layer construction, which further improves its functionality and durability. Each part of this paintball barrel is also guaranteed to be made in the US, including its assembly and porting. With that, it assures potential users of its quality and high level of accuracy. You can also readily use the barrel without needing any inserts. However, this barrel is not as customizable as other high-end and more expensive models. I can also say that the BT Paintball 14-inch APEX 2 Barrel functions well in the paintball industry. One prominent benefit of this barrel, which, I think, is worthwhile to highlight in this review is the sturdiness and durability of its aluminum construction. Aluminum is known for its sturdiness while still being not difficult to manage. I also noticed that this barrel is one of those that any user can easily maintain because it disassembling it does not require the use of any tool. I find it easy to use, too. Just twisting the barrel enough can help me do a drop shot, long flat trajectory shot, and right and left hook. Another thing about this barrel that leaves a good impression on me is its large range overall. I think it is primarily due to its backspin effect and increased range. This barrel is also designed in such a way that you can rotate its tip in such a way that you can still enjoy its advantage as far as its wide range is concerned. It is also possible for you to enjoy the stealth look of this barrel, which is designed in such a way that you can enjoy an unmatched accuracy and distance. That way, you can easily hit your target. I am also pleased with its adjustable ramp switch with nine levels of control built in, thereby customizing your spin and curve level. However, it is not as lightweight as other paintball barrels, especially those constructed from carbon fiber. Another paintball barrel, which gains a lot of popularity because of its performance, is the Planet Eclipse Shaft5. The quality of the barrel is unquestionable. 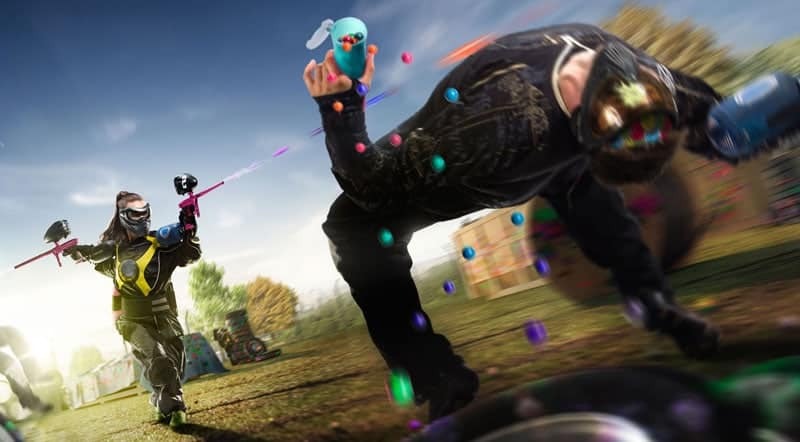 In fact, it is mainly designed to give users a high level of satisfaction and enjoyment once they start using it in the paintball field. It comes in various sizes for the bore, which is actually a big advantage if you want it to be compatible with different paints. It also operates quietly. With its quiet operation, I am pretty sure that you can use it in the field without making your opponents notice you. This will further increase your chance of hitting your opponent without them even noticing your presence. This barrel back also boasts of its great and nice design. 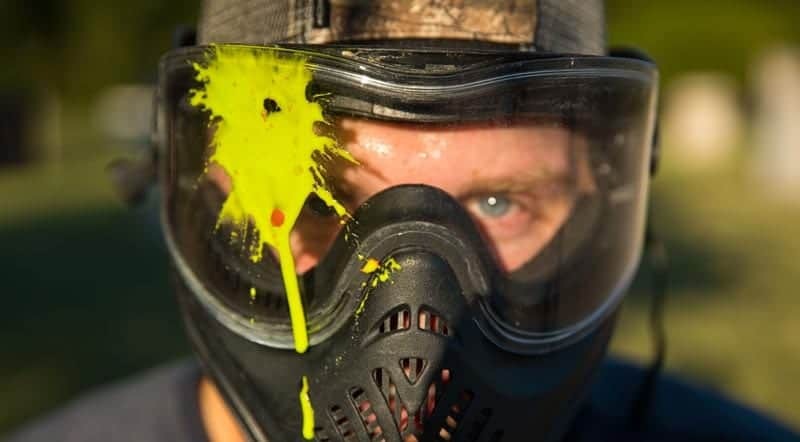 Some users even say that it looks really good in their paintball markers. One more advantage of this paintball barrel is the fact that it has a perfect micro-honing. However, it does not seem to fit some of the Planet Eclipse cases. This prompts the need to buy a separate travel case for it. Lastly, I highly suggest that you include the DYE Precision GF Boomstick Paintball Barrel on your list of options. It is also one of the paintball barrels that, I think, gives users the quality and satisfaction that they are hoping for. It mainly comes with a 2-piece construction. I think such construction is a big advantage because it is composed of the CF and GF structural wrap, which guarantees to provide a lightweight and better performance in the field. I am also glad that this barrel has a steady and stable port pressure porting. This unique port design makes the barrel highly accurate while delivering a quiet performance. The stainless steel insert also provides a huge advantage. With the inclusion of this feature into the paintball barrel, I am sure that you will enjoy its sturdy performance. The material is extremely high in quality and guaranteed to resist scratches and corrosion, allowing it to last for quite a long time. Such construction also guarantees that the barrel will have a straight and smooth surface finish. One more advantage worth noting is the fact that its construction also utilizes the glass fiber technology. This new technology guarantees that you will enjoy great strength and durability out of the barrel. It also makes it possible for you to enjoy complete color customization. You will notice that this barrel is pretty expensive, though, but its quality and features are definitely worth its high value. You need to spend time carefully assessing the length of the barrel because it plays a vital role in your shot’s consistency and accuracy. In this case, consider going for a length of around 12 to 16 inches. Contrary to what others believe, a longer barrel, probably around 20 inches or longer, does not instantly result in a high level of accuracy. It might even have a negative impact on the accuracy of your short. You need to have just the right length of barrel for accuracy and consistency. Note that the paintball will have an extra distance to take in order to fly within the barrel. This can produce an additional drag within the barrel. With that in mind, find a length, which is just enough to promote ease in aiming accurately. Keep in mind, though, that the ideal length is still based on user preference. For instance, a player who enjoys diving, sliding, and running in the field may realize that a shorter barrel length is more appropriate for him as it lets him retain a small profile. However, if you are someone who tends to play the game by laying down suppressive fire then a longer barrel is ideal for you as you can easily point it in the right direction. You also need to consider your barrel’s bore size prior to choosing. Note that you need to match this bore size to the paint that you are specifically using as such can give you more consistent and accurate shots. One way for you to determine if the paintballs you have perfectly match the bore is to drop one of them in a vertical manner down the barrel. If you notice that the paintball falls straight then it is an indication that the size of the bore is too big for it. You will know that it is just the right size in case you can blow the paintball in case it gets stuck using just a light burst of air that comes out of your mouth. However, if it gets stuck and you have a hard time blowing it out of the barrel, then it indicates that the size is too small. You need the perfect bore size of the barrel as it can help maintain the contact of the paintball with the barrel itself, especially during your whole shooting process. However, take note that paint tends to vary a bit in terms of its size. With that in mind, it would be best for you to look for a barrel kit, which has various bore sizes. Considering the barrel’s interior finish is also a must in making a good choice. Note that your goal is to find a smooth and polished interior finish in the barrel as this can result in minimal drag. Note that a barrel without a smooth and polished interior can lead to drag. This will also cause spins, thereby minimizing the accuracy of your shots or causing the paintball to break inside. You also have to examine whether there are vents in the barrel. The vents actually refer to the drilled holes in the barrel that are helpful in venting additional or extra pressure. Vents positioned closer to the marker will result in quieter shots. However, their closeness to the marker can also lead to slower speed. Check what the paintball barrel is made of, too. 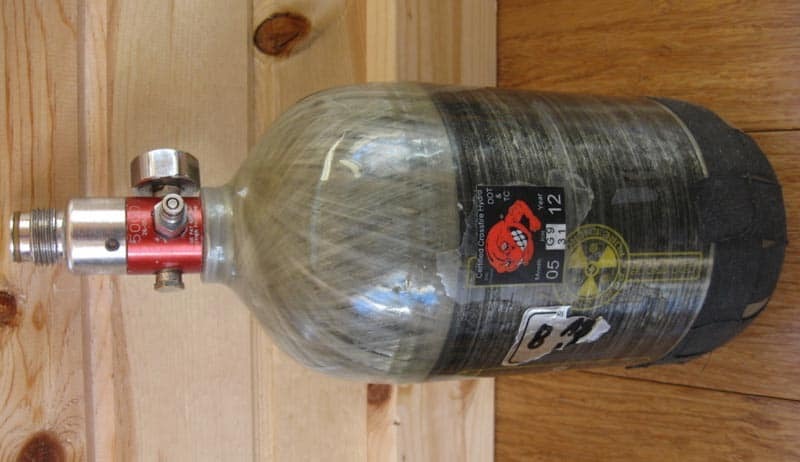 Among the materials used in this specific item for paintball are Teflon and ceramic. Ensure that the barrel material is smooth so you will have the chance to use paintballs that have thin shells. However, you can also choose to use rougher materials. In this case, you also need to pair it up with balls with tough shells. Note that the shell greatly affects how the balls will break. If it is thin then it will break easily once it hits your opponent. Check the thread of the barrel, too. Note that the most accurate barrel is one, which comes with a thread that perfectly matches the gun or marker. This is the specific section of the barrel that is screwed or attached to the gun. What length of paintball barrel should I get? The ideal paintball barrel length for you will be dependent on your game and playing style. The most optimal length, though, is 12-16 inches. Barrels that are shorter are usually more efficient when used with gas. They are also easy to maneuver, especially in tight areas. If your playing style is directly on the battlefield and you are more familiar with getting fast shots and working on difficult to reach areas then a barrel with a shorter length is perfect for you. Longer barrels, on the other hand, are less efficient when used in gas. They work quieter, though, and are perfect when used during sniper situations. Can I use the barrel with insert s? Yes, you can. 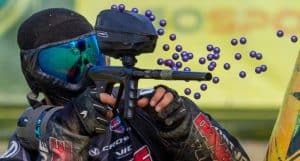 Note that paintballs sometimes vary in size due to certain factors, like humidity, storage conditions, elevation, temperature, and the manufacturer, so there are instances when using an insert is a must. 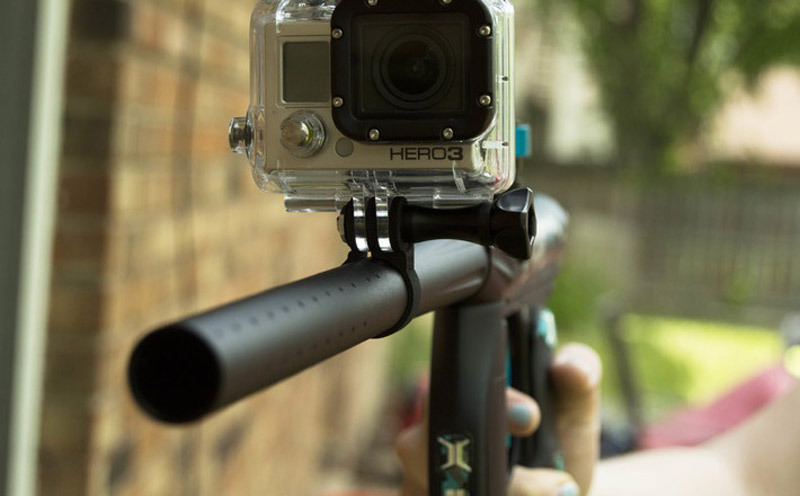 With its help, the bore system of your barrel can adapt to whatever paintball you use it with. How to clean a paintball barrel? Cleaning your paintball barrel is actually easy. All that you need is a squeegee. What you have to do first is to get your paintball marker. After that, remove its barrel. Put one end of your squeegee into the paintball barrel, ensuring that you are pushing the squeegee all the way through. Continue pulling until its tail gets into the barrel. Pull it all throughout then outside. Do the same steps until the barrel becomes thoroughly clean. Selecting the best paintball barrel is not totally challenging if you are just aware of the basics of it. Your goal should be to weigh the pros and cons of each of your option. Also, figure out which one fits your budget the most. That way, you can really find the most suitable choice out of the numerous options presented to you. 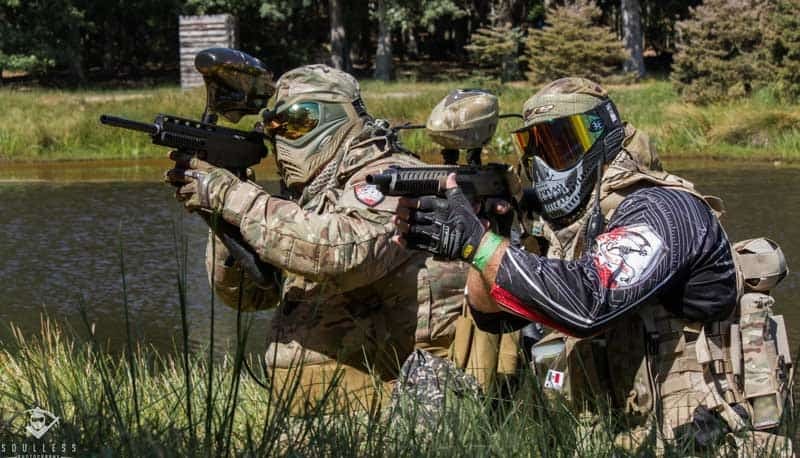 Learn more about how to choose the best paintball guns, under 200, under 300 and best paintball masks 2019 with in-depth reviews and buyer’s guide. By the way, please have a look at our best paintballs, best paintball hoppers, and best paintball tanks to improve your paintball game!